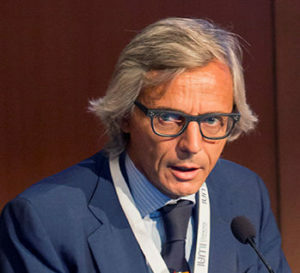 AssArmatori is the new confederation of shipowners operating in Italy, which for the first time creates a strong centre of representation for the Italian and international maritime industry. The Council of AssArmatori, which represents groups operating more than 600 ships and directly employs about 70,000 people, has named as president for the next four years Stefano Messina, 50 years old from Genoa and president of the Messina Group in the city. Here is our interview. What was the reasoning behind the creation of AssArmatori? AssArmatori was formed to create a strong representative body (also in dealings with national and community institutions) for the merchant marine, shipowners who are involved in international cargo transport (from petrol tankers to container ships), in coastal navigation connections with the islands and cruises in the Mediterranean. To date, this sector has not been recognised for the importance it has in the national economy and in the prospects for economic recovery. At whom is the Association aimed and what services will it offer members? The big innovation for a large business association is for AssArmatori that of being home both to Italian operators based in Italy with ships flying the Italian flag and to large groups that operate mainly in Italy and provide jobs for hundreds of Italian seamen and officers. So AssArmatori will represent the interests of an enlarged cluster of shipowners on strategic issues linked to the growth of the sector, employment and the professions also in terms of contract negotiation. What do you think that the incentive for shipowners the government is working on consists of? regulations and mechanisms to encourage the technological evolution of the ships employed on the highways of the sea also in terms of environmental sustainability. The Italian fleet and ship owning companies need to operate with competitive weapons in an international market where there is very fierce competition. So we’re not talking about incentives regarding the current state of affairs but a coherent, long-term maritime policy. Are you hoping to apply the Industry 4.0 plan also to the shipping sector? The challenges that Italian shipowners and hence AssArmatori are preparing to tackle our numerous and substantially different from those of the production industry, the dryland industry. They concern not the shipping sector, but merchant ships.